Please Vote ME for Fimelahood Goes to Paris! 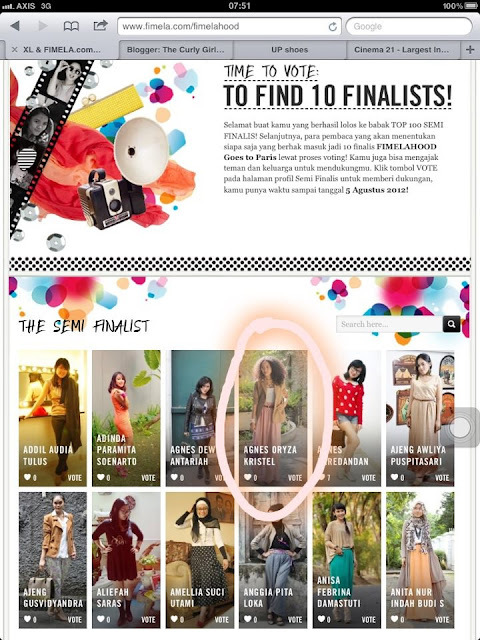 Guys please help vote me, click www.fimela.com/fimelahood then click Agnes Oryza Kristel. Should I do Nail Art Tutorials?